In the same way that the 1955 Chevy defined an era of American cars, the MGB was the archetypal English roadster of the 1960s. It was not the fastest, the most sophisticated, or even the cheapest of its kind, but for nearly 20 years, it was the default choice among inexpensive sports cars. This week, we look at the history of the ubiquitous 1962-1970 MGB roadster. Although MG did not formally exist until 1928, the company can trace its history back to 1910, when a 32-year-old former bicycle mechanic named William R. Morris founded the first Morris Garage in Oxford. As the name implies, the firm was not an automaker, but a commercial garage with a sideline selling new cars and accessories. The shop was successful enough to allow William Morris to build his first car in 1912 and the following year to establish a new company dedicated to making cars rather than simply selling them: W.R.M. Motors Ltd., which became Morris Motors in 1919. The profitable garage business continued, although Morris no longer played much role in its day-to-day management. The Morris Garages (it became plural in 1913) naturally sold Morris automobiles, but in 1922, it also began offering cars of its own, starting with a re-bodied version of the utilitarian 11.9 HP (RAC taxable horsepower) Morris Cowley. These proved very successful and by 1928, the Morris Garages had established a new subsidiary, the MG Car Company, to handle its design and manufacturing operations. MG quickly outgrew its small factory in Cowley and moved in September 1929 to new quarters in Abingdon-on-Thames, where it would remain for the next 51 years. Despite what you might think, MG didn’t only build sports cars. It had dabbled with more sporting bodywork as early as 1923 and managing director Cecil Kimber had driven a much-modified example in the 1925 Land’s End Trial (a car subsequently nicknamed “Old Number One,” leading to the later misapprehension that it was the first MG), but many of the company’s products were touring cars or sedans. 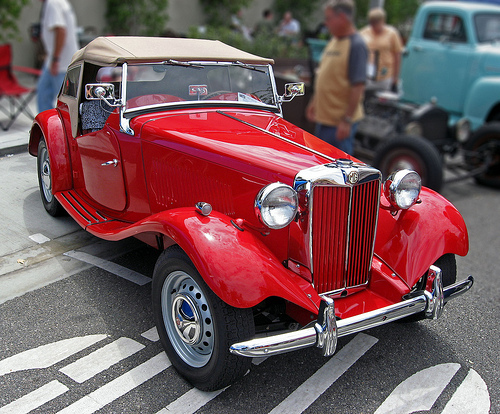 MG’s reputation for sports cars really began in the fall of 1928 with the debut of the six-cylinder 18/80 Sports Six and, more importantly, the first M-type Midget. The Midget, based on the new Morris Minor, was a speedy, affordable little car powered by a clever 847 cc (51 cu. in.) OHC engine. The Midget quickly became MG’s bestseller and the basis of some quite-successful race cars. MG’s competition record, which is too extensive to adequately summarize here, won it many fans and helped to keep the company alive during the depths of the Depression. It also created considerable friction between general manager Cecil Kimber and the company’s owner. Sir William Morris (created Lord Nuffield in 1934) had come to consider racing both dangerous and pointless and tolerated it only grudgingly. According to former Morris engineer H.N. Charles, Morris also resented the fact that MG — and consequently Kimber — had far greater international recognition than Morris Motors ever did. Lord Nuffield was more interested in building his automotive empire, subsequently known as the Nuffield Organization, which now encompassed Riley and Wolseley as well as Morris and MG. 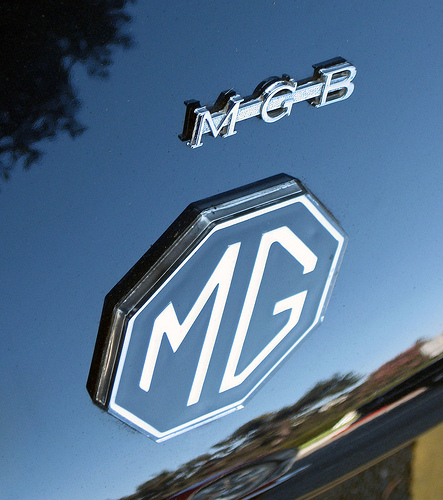 Although MG’s international reputation was built on sports cars, the firm also built quite a few sedans. One of its most upscale efforts was the 2-Litre SA, launched in early 1936. With a starting price of £375 (about $1,900 at contemporary exchange rates), it competed in the same class as Jaguar’s SS90. The “2-Litre” name was slightly misleading; the SA had a 2,288 cc (140 cu. in.) six, expanded in early 1937 to 2,322 cc (142 cu. in.). 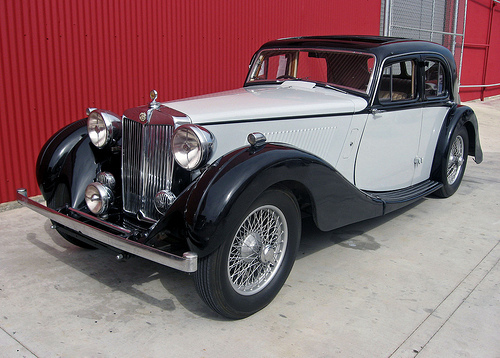 MG sold 2,738 of these sedans before the outbreak of war ended production in 1939. While MG Cars had technically been a public company since 1931, Lord Nuffield was still its sole owner, controlling most of the shares through a holding company called Morris Industries Ltd. In 1935, he decided to sell his private interests in MG and Wolseley (which he had held on a similar basis) to Morris Motors. Aside from consolidating his holdings, this move served to subordinate Kimber to Morris director Leonard Lord, who immediately put the brakes on MG’s factory competition efforts and greatly reduced Abingdon’s autonomy. MG development was transferred to the Morris design offices in Cowley, which brought new pressure for lower costs and increased commonality with other Nuffield products. From then on, MG would be only one small cog in a much larger corporate machine — usually an asset, but seldom a priority. In early 1952, Lord Nuffield agreed to a merger between the Nuffield Organization and its longtime nemesis, the Austin Motor Company. Herbert Austin had died in the early forties, leaving Austin in the hands of its managing director — none other than Leonard Lord, who had left Morris in 1936, allegedly following an acrimonious salary dispute with Lord Nuffield. Some Nuffield Organization employees saw the merger as a not particularly friendly Austin takeover; the new British Motor Corporation (BMC) was dominated by Austin executives. Lord Nuffield, now in his mid-seventies, retreated to an advisory role while Leonard Lord became BMC’s first chairman. The BMC merger served to push MG even farther into the margins. Lord had never had much regard for sports cars and what limited interest he did have was focused on Austin’s new partnership with Donald Healey. John Thornley, who became MG’s managing director in the fall of 1952, later told author David Knowles that there was no particular malice in Lord’s attitude toward MG, but it meant that Abingdon would face an uphill battle in developing any new sports car models. 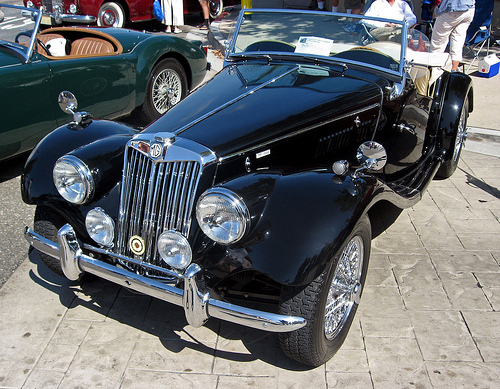 MG’s sports car offering at the time of the BMC merger was the TD Midget, launched in 1950. Although the TD retained the basic styling of the earlier TC (and the prewar TA and TB), it had a new independent front suspension based on that of MG’s 1947-vintage 1¼-litre (YA) sedan. It was powered by MG’s 1,250 cc (76 cu. in.) XPAG engine, initially making 54 hp (41 kW) with two S.U. carburetors. Fortunately, few executives could have been better prepared for that struggle than John Thornley. Although he was an accountant by training (and had been a purchasing officer for the British army during the war), Thornley was more than usually sympathetic to MG’s sporting heritage. Before joining the company in November 1931, he had served as the secretary of the newly formed MG Car Club and in 1950, had even published a book on the company’s competition history, Maintaining the Breed: The Saga of MG Racing Cars. At the same time, Thornley’s business acumen and financial expertise had won him the respect of the the Nuffield Organization board and later the senior management of BMC. Thornley could be stern, even severe, but the staff at Abingdon — many of whom had been with the company since the beginning — could hardly have hoped for a better chief. One of Thornley’s first challenges was replacing the aging TD Midget, whose sales were sinking rapidly in the face of newer rivals. While BMC authorized a replacement for the even older 1¼-litre (Y-type) sedan, Lord was very reluctant to fund an all-new MG sports car, having only recently signed off on the new Austin-Healey 100. When Lord finally relented, the resulting MGA, designed by MG chief engineer Albert Sydney (Syd) Enever with a chassis by a young draftsman named Roy Brocklehurst, proved to the marque’s biggest hit to date. The A eventually sold more than 101,000 units between 1955 and 1962, more than than four times the combined total of every prewar MG. Although sales of the MG TD sank alarmingly in 1953, the only replacement BMC was prepared to finance was the TF, basically a facelifted version of the TD Mk 2. Neither the press nor the public was fooled and sales were disappointing. Later in the run, the 1,250 cc (76 cu. in.) engine was replaced by the new 1,466 cc (90 cu. in.) XPEG, but sales remained flat. The TF 1500 was replaced by the MGA in mid-1955. 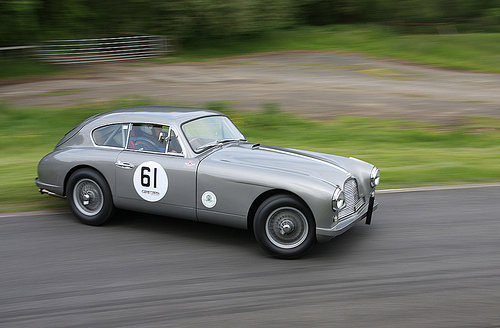 Thornley’s thinking soon shifted from roadsters to fixed-head coupes along the lines of the Aston-Martin DB2/4 Saloon, which he had seen in action at Silverstone several years earlier. Thornley felt that the added practicality of a liftback 2+2 like the DB2/4 would be a great marketing advantage; although MG fans claimed to prefer the rugged minimalism of the old TD and TC, customers and critics were frequently annoyed by the MGA’s leaky side curtains, sub-par heating system, and mediocre luggage space. Coincidentally, chief body engineer Jim O’Neill had recently hired a new senior draftsman, Don Hayter, who had worked on the DB2/4 during a previous stint at Aston Martin. I’m trying to learn about the different body styles for the 1970 MGB. I have a 1970 with the split rear bumper and the less attractive front grill. I see some 1970 models for sale with the chrome grill and no split bumper. From what I understand, the split bumper was only available in 1970 and only in the US. Anybody know why there were such differences within the same model year? Along with the lack of rear-independent suspension, it is a shame the MGB never received a 106+ hp 2.0-litre B-Series let alone a version of the 2.0-litre with Overhead-Cam (and possibly even fuel-injection) putting out 112-115+ hp, at least before the B-Series tooling was completely worn out. The 1.8 B-Series would have been better off in late-model MGAs or serving as a entry-level engine in the MGB, especially since it would have also justified more powerful versions of the smaller MG Midget. The same goes with the related 2.0 O-Series engine later intended for the MGB (capable of as much as 127 hp) that were it not for BL ordering new tooling for the old B-Series engine and being limited to using the B-Series’s crankshaft, would have not at all been related to the old engine. As for the EX234 prototype apparently even with a 1275cc Cooper S engine it was significantly slower then the MG Midget (0-60 in 14 or so seconds), so would have been better off with 1.6-1.75-litre E-Series or 2.0-litre B-Series engines featuring an output of around 85-106+ hp. On the engine front, to some extent, it’s perhaps just as well, since by the time they would have installed the O-Series, the MGB was really quite a relic compared to more modern sports coupes. The O-Series would have brought U.S. cars back up about the same level as late British MGBs, but if BL did any market research on the subject, they likely would have concluded that it would make no real difference in American sales (I think U.S. buyers by then had long since given up expecting an MG to be a real car) and that sales on the other side of the Atlantic had grown too small to be worth the bother. It was a reasonable conclusion, if that’s what it came down to, but they spent an awful lot of time and money on installing the O-Series before reaching it, which says something about the managerial chaos of the time.